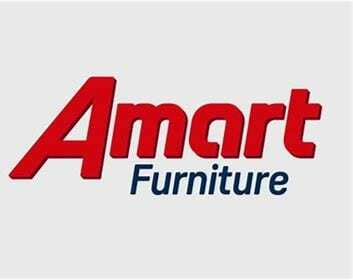 Amart Furniture is one of Australia’s leading furniture retailers with 63 stores across the country. Keeping Amart’s geographically diverse team of over 2000 up-to-date with products and developments is a key goal for the business. It also knows that additional benefits come from listening to the frontline about what customers are looking for such as product ranges, value and quality. It’s that sort of communications feedback loop that can help distinguish a business from its competition and build reputation and customer loyalty. Amart began its corporate and digital transformation in 2011 when they made a move to more secure and resilient cloud computing. Amart partnered with Adopt & Embrace to ensure that culture and technology worked in harmony to deliver the impact that the business sought. Traditionally Amart relied on communicating via emails, newsletters and cascading information from senior leaders to managers and the frontline. As the business grew, internal communication become more challenging, customer expectations evolved, home furnishing trends accelerated and a fresh approach was required. Nick Shelton, General Manager of People at Amart Furniture, stresses that the transformation has proven vitally important for the company to be able to engage its team to better serve customers and accommodate their changing needs. “Communication is everything for us. In an organisation that covers 70 independent sites across the country, it is critical to be able to share information with the entire nation, simultaneously, and that’s always been a huge challenge.” Communication is at the heart of retail culture. It occurs between the customer and sales assistant, the assistant and their peers, the team and their manager, the supplier and the retailer. Introducing Yammer means that when Amart launches a new product, process or campaign it can tell the entire Amart community about it, and get their immediate feedback. According to Steve Norman, Amart’s General Manager of Buying, it’s made a huge difference. Without a frontline digital transformation though, the company was still relying on traditional communication channels. Shelton explains that “we’ve previously relied on the “cascade” effect of business communication. When that happens, the core message is inevitably diluted, and the team members who are the receivers of that information are not always clear about what are we trying to achieve. While technology has been a huge support, Shelton notes that the right culture is essential to successful transformation. Amart partnered with Adopt & Embrace to ensure that culture and technology worked in harmony to deliver the impact that the business sought. While the company continues to grow, according to Shelton, the tighter integration between employees makes it feel as though Amart is smaller, more intimate. “We’re now able to communicate without any hierarchy at all. Senior leaders, General Managers, our CEO, are all able to communicate with a team member on the other side of the country. Overnight, it has made our organisation feel more like family, because we’re all well connected, and we’re talking to each other all the time. And that is paying dividends. Shelton says that the most recent national engagement survey showed the highest annual increase in employee engagement that Amart has ever experienced – and for that he believes Yammer should take a bow. Our CEO, Lee Chadwick, finds the most important part about Yammer is understanding what our team members are experiencing – what’s important to them. That helps us, as a senior leadership team, to guide our people’s strategy to provide new solutions to whatever their challenges may be."